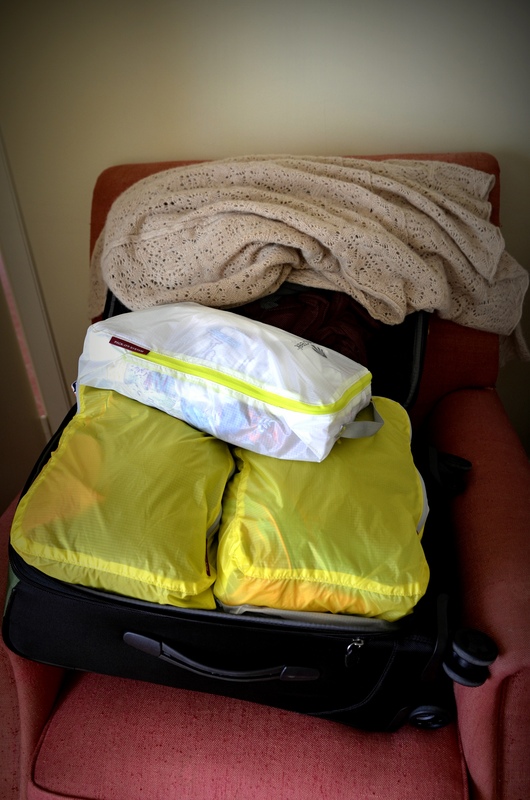 Packing Light, Packing Right | When Can We Go? With two boys close in age it’s easy to begin to mix up socks, underwear, etc. These cubes are great when unpacking due to touring (such as our Ireland trip) is unadvisable. Big G has orange on this trip and Little G has blue. The guys know the drill and are able to keep their clothes organized using these cubes. Also, going through customs or being checked at security is much easier when clothes are organized. I actually upgraded to these parachute material bags myself. Now maybe it’s not a necessity, but these bad boys are like the Fred Astaire’s of the luggage world. The kids maneuver them deftly and happily. 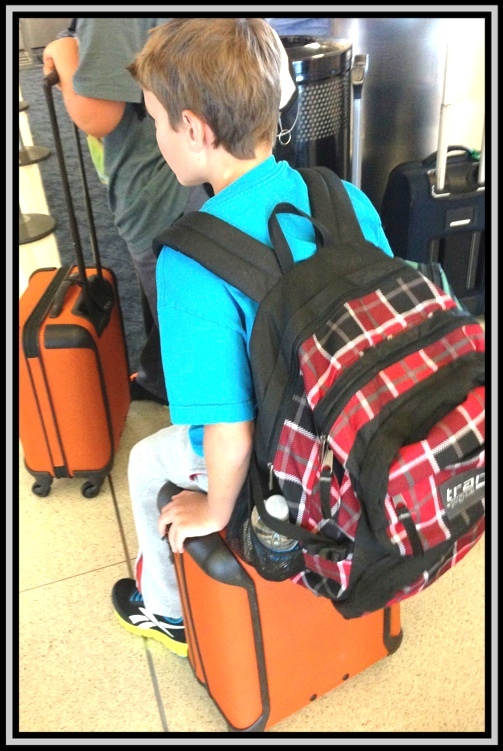 I have been known to let a bag or two go down ramps watching kids and/or adults careen out of the way of the runaway bag. I would never recommend such a thing, however. I just purchased this bag and was amazed with what I could fit in it. They also serve as a great seat when the tribe is tired. So, I know longer have to wonder what strange staph virus may be entering my child as he sits on the floor of the airport. Okay, so may I state that the most idenspendsible travel gizmo that I never leave home without is Tripit. Tripit lets me know when my flights leave, arrive, are delayed. The app welcomes me to my destination, tells me the terminal of my connecting flight, and remis me that I am leaving (sadly at the age of 47 I now need that). I love my iCal, NetFlix, and PvZ (anxiously awaiting #2) apps, but Tripit is the first app that would make my life harder not to have while I was traveling.